Former NBA teammates Darius Miles and Quentin Richardson launched their own podcast, "Knuckleheads," earlier this year and they've quickly stacked up a number of NBA guests such as Kevin Durant, Kemba Walker, Baron Davis, Kyrie Irving and others. 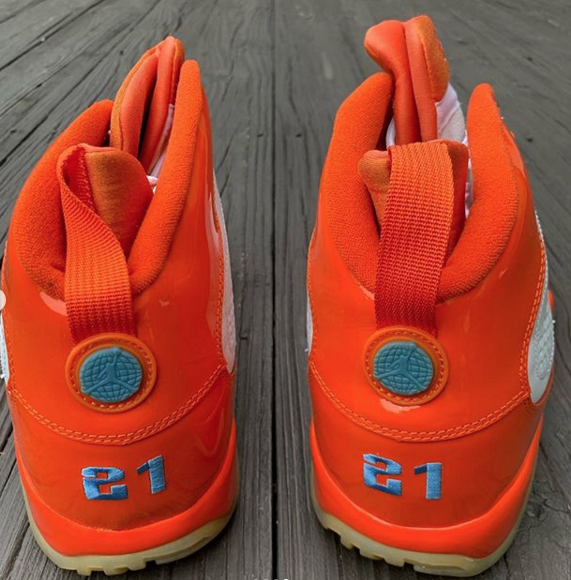 Most recently, Q and Miles linked up with Dwyane Wade and Udonis Haslem in Miami and, as seen in the photos embedded below, Miles decided to break out his exclusive Air Jordan 9 PE from his days with the Cleveland Cavaliers. 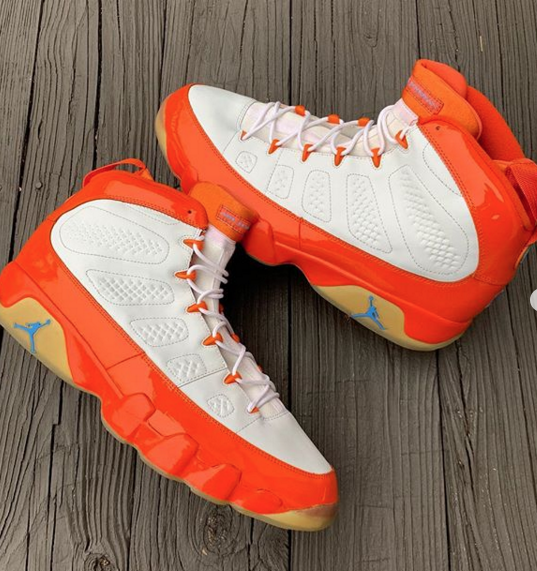 The Cavs-inspired 9s are highlighted by a bright orange, patent leather detailing that wraps around the Air Jordan 9 silhouette. The kicks also include baby blue accents throughout the Jumpman branding, as well as on the #21 that is stitched onto the heel. Miles wore a number of exclusive Air Jordan PEs during his NBA career but this rare AJ9 from 2002 is among the craziest in the stash. Sneaker collector @SoleSupreme shared a new batch of photos shortly after seeing the rare Air Jordans on Miles' feet. Grab a closer look at the additional images below.